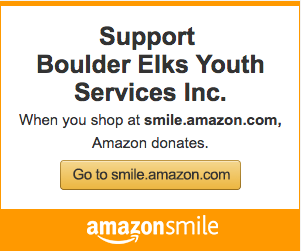 Hello Boulder Elks Swim Families! The 2019 season is just around the corner! Registration for summer 2019 is now open on the team website, www.boulderelksswimteam.org. 1. COACHING STAFF: Emily Sampl will be returning as the head coach this summer, and we also welcome back returning coaches Austin Vinton, Katie Roberts, Olivia Rock, Henry Maier, Mason Pendergast, and Nathan Rock. Our full coaching staff will be finalized over the next few months. 2. REGISTRATION: Registration for the 2019 summer season is now live! Go to boulderelksswimteam.org and click on the “Register” tab in the main menu. Please direct registration questions to Beth Leuchten. 3. PRACTICE SCHEDULE & CALENDAR: The practice schedule and meet dates are all up to date on the website. If you’d like to jumpstart the season, come to some of our ongoing winter practices! Practices are held Tuesdays through Fridays from 5:30-6:30pm at North Boulder Rec and Saturdays 9-10am at East Boulder Rec. Additional details are on the team website under the “Practices & Clinics/Pre-Season Swimming” tab. 4. BOULDER ELKS BEACH CLUB & SUMMER JOBS: Geoff Hawksworth will again serve as the manager for the Elks pool and the 2019 Boulder Elks Beach Club. Information for pricing (memberships, pool passes, etc.) can be found on the Boulder Elks website. For questions about the Beach Club, or to inquire about working at the pool this summer as a swim instructor, lifeguard, or in the snack shack, please contact Geoff. 6. GOOD TIMES! BACK BY POPULAR DEMAND: Boulder Elks Pre-season cookout, Little Fish/Big Fish Program, Team trip to Water World, Purple Poolozza Spirit Days, Parent Relays and more! We can’t wait to see everyone for another amazing swim season! Any questions about the upcoming season can be directed to Coach Emily. Let’s get this party started! !